Wandering Albatross – this species of albatross wanders the oceans for months at a time searching for food. It sleeps on the ocean surface at night and drinks seawater. The Wandering albatross is the largest bird in the world in terms of wing span – 11 feet! 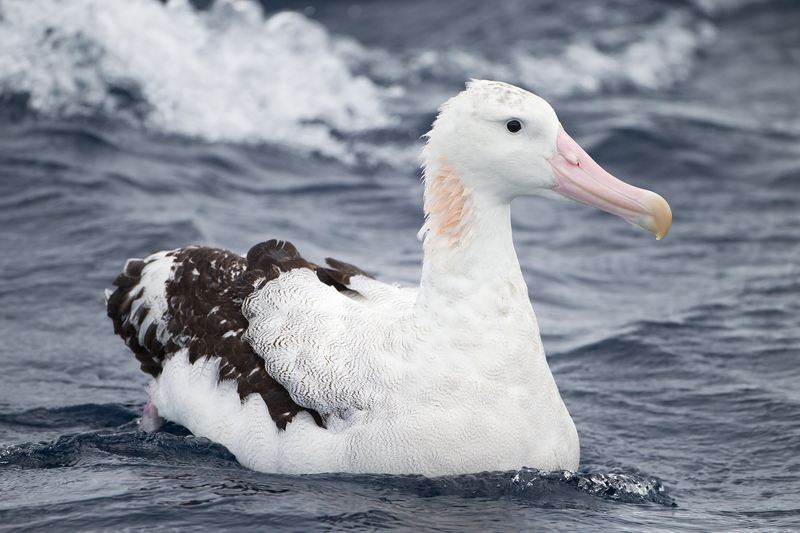 The Wandering albatross is endangered because of accidental killing of the bird on longlines.